Save $1.25 on Dove Men+Care Body Wash or Bar! 4 pack or higher. Excludes travel & trial sizes. Coupon expires 3/19/17. Save $2.00 on any L’Oreal Paris Skincare product! Excludes trial size. Expires 3/1/17. 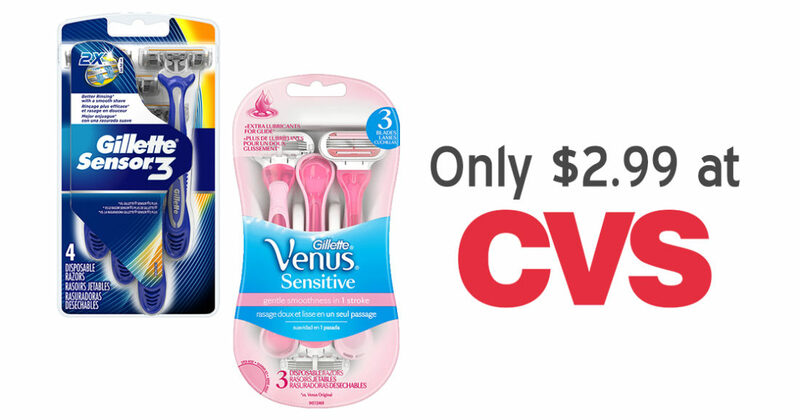 Gillette and Venus disposable razors are on sale for only $7.99 at CVS this week. Get them for $2.99 instead by using these coupons for $4.00 off, and then by receiving $1.00 in Extrabucks. These are perfect to have on hand for vacations or business trips! CVS sale and Extrabucks promotion end 1/21/17. Coupons expire 1/21/17. 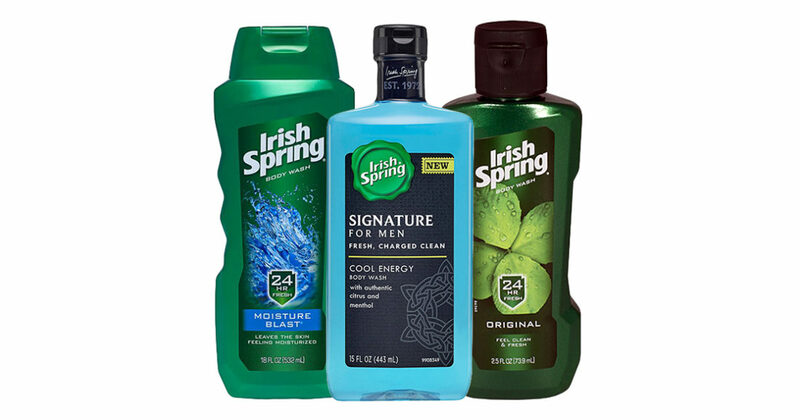 $1 off Irish Spring body wash + $3 reward at Walgreens! Irish Spring Body Wash smells great, and cleans and exfoliates well, too. Perfect for any male members of the family. This coupon gives you $1 off Irish Spring Body Wash. But there are more savings to be had! Walgreens will be running a sale on Irish Spring later this week, starting 9/25. When you buy two 15oz or 18oz bottles, you’ll get them for $3.49 each, while also earning 3000 Balance Rewards Points. Balance Reward Points are like money; they can be put towards your purchases. In this case, 3000 BRPs are equal to $3. Combining your printed coupons with the Balance Reward Points you’ll earn with this transaction will save you $5 in total; you’ll end up getting each bottle of body wash for $.99 ([(2 x $3.49) – ($1 x 2) – $3]/2 = [$6.98 – $2 – $3]/2 = $1.98/2 = $99.ea)! Print out your coupons today and get ready to take advantage of this awesome deal! Excludes Trial or Travel size. Coupon expires 10/01/16.